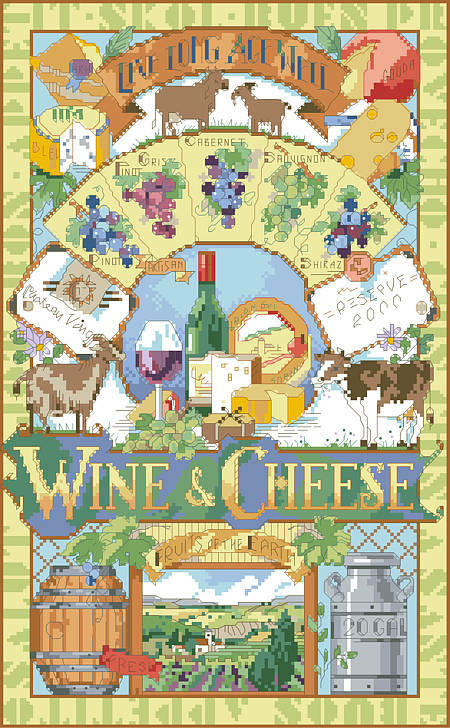 Wine and Cheese "Live Long Age Well". Wine and Cheese never looked so good! Contents: Stitch Count 136w X 220h. Finished size on 14-ct, 9-5/8" X 15-5/8"